In the midsize luxury car segment, the new Mercedes-Benz E-Class sedan remains one of the top picks in the industry. The Mercedes-Benz E-Class price starts at just over $50K, and you can find it near Benicia at Mercedes-Benz of Fairfield with features like heated leather upholstery, leather-wrapped surfaces, massage functionality, and the latest COMAND® multimedia interface. Check it out today at our dealership in Fairfield, where we have a number of new vehicle specials available right now! Selenite Gray Metallic 2019 Mercedes-Benz E-Class RWD Active Speed Limit Assist, Adaptive Highbeam Assist, AMG® Exterior, Burmester Surround Sound System, DISTRONIC PLUS® w/PRESAFE Brake, Driver Assistance Package, Driver Assistance Package Plus, Exterior Lighting Package, LED Intelligent Light System, Panorama Roof/Moonroof/Sunroof, Premium Package 1, PRESAFE Impulse Side, Route Based Speed Adaptation, Speed Limit Assist, Steering Assist. Recent Arrival! 21/30 City/Highway MPGSelenite Gray Metallic 2019 Mercedes-Benz E-Class RWD Active Speed Limit Assist, Adaptive Highbeam Assist, AMG® Exterior, Burmester Surround Sound System, DISTRONIC PLUS® w/PRESAFE Brake, Driver Assistance Package, Driver Assistance Package Plus, Exterior Lighting Package, LED Intelligent Light System, Panorama Roof/Moonroof/Sunroof, Premium Package 1, PRESAFE Impulse Side, Route Based Speed Adaptation, Speed Limit Assist, Steering Assist. Lunar Blue Metallic 2019 Mercedes-Benz E-Class RWD 12.3" Widescreen Instrument Cluster, AMG Exterior, Blind Spot Assist, Burmester Surround Sound System, Night Package, Night Package Code, Night Package Steering Code, Panorama Roof/Moonroof/Sunroof, Parking Assist Package, Premium Package 1, Wheels: 19" AMG® Twin 5-Spoke w/Black Accents. Recent Arrival! 21/30 City/Highway MPGLunar Blue Metallic 2019 Mercedes-Benz E-Class RWD 12.3" Widescreen Instrument Cluster, AMG Exterior, Blind Spot Assist, Burmester Surround Sound System, Night Package, Night Package Code, Night Package Steering Code, Panorama Roof/Moonroof/Sunroof, Parking Assist Package, Premium Package 1, Wheels: 19" AMG® Twin 5-Spoke w/Black Accents. Iridium Silver Metallic 2019 Mercedes-Benz E-Class RWD 12.3" Widescreen Instrument Cluster, Adaptive Highbeam Assist, AMG® Exterior, Blind Spot Assist, Exterior Lighting Package, Heated Steering Wheel, LED Intelligent Light System, Panorama Roof/Moonroof/Sunroof, Parking Assist Package, Premium Package 1. Recent Arrival! 21/30 City/Highway MPGIridium Silver Metallic 2019 Mercedes-Benz E-Class RWD 12.3" Widescreen Instrument Cluster, Adaptive Highbeam Assist, AMG® Exterior, Blind Spot Assist, Exterior Lighting Package, Heated Steering Wheel, LED Intelligent Light System, Panorama Roof/Moonroof/Sunroof, Parking Assist Package, Premium Package 1. In the latest Mercedes-Benz E-Class review from Edmunds, this luxury sedan was praised for its “fantastic luxury aesthetic,” and it was chosen as one of their “Best Midsize Sedans” this year. 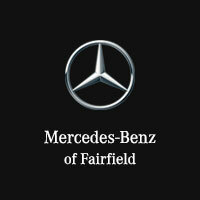 Find it now near Napa at Mercedes-Benz of Fairfield, your certified luxury dealership in Fairfield where you’ll also find a number of demo vehicle specials. Our dealership is open every day of the week, and you can reach us with any questions at (707) 430-0101.